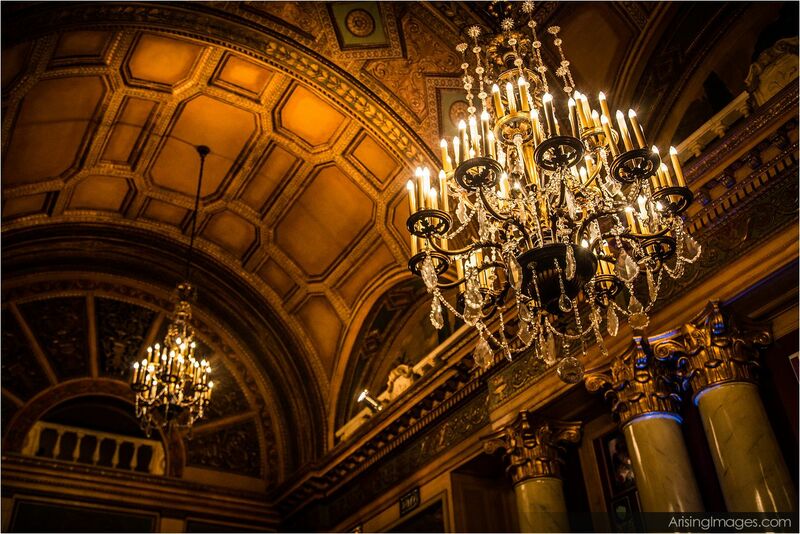 The Fillmore Detroit is one of those iconic Detroit venues that we just can’t get enough of. 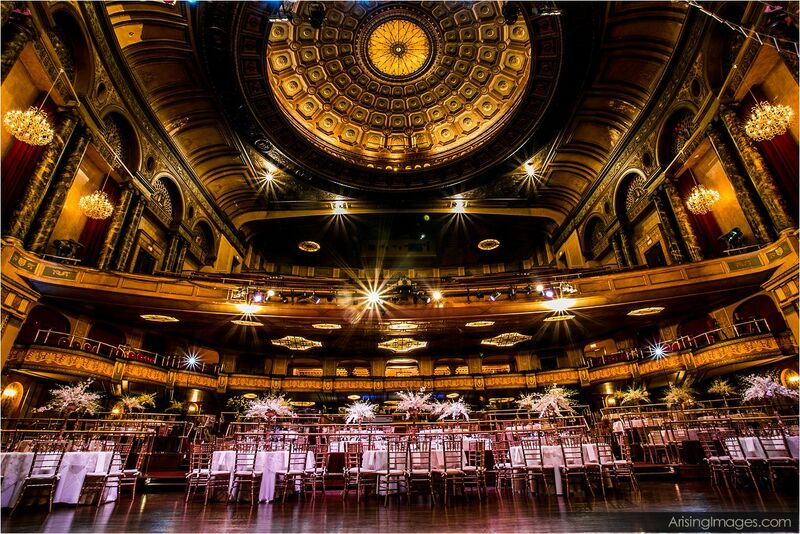 Built in 1925, it’s gone through names such as Palm Theater and State Theater, and subsequently became The Fillmore Detroit. 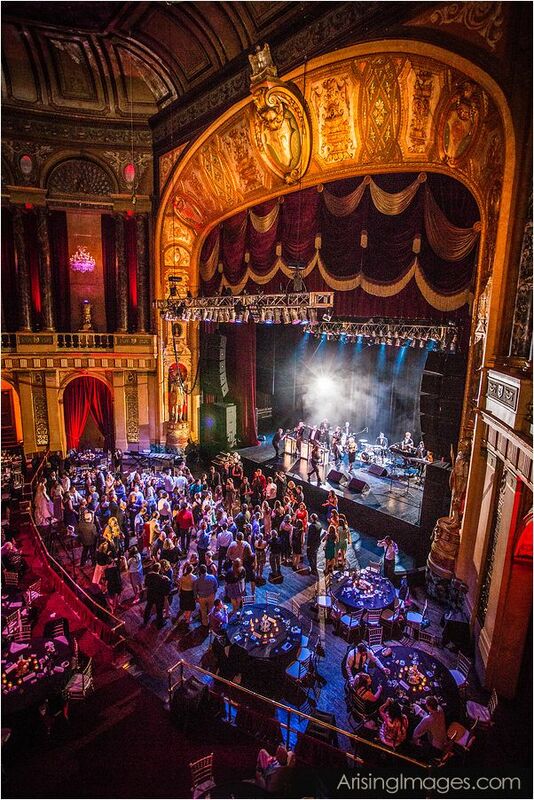 This is a music venue as well as an event venue, and has an old-world theater charm mixed with a fun rock-and-roll vibe. 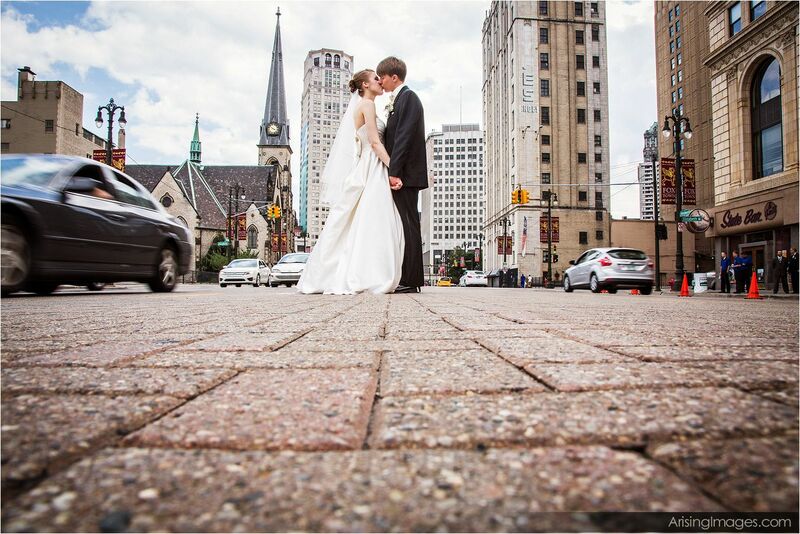 One thing we love about Fillmore wedding photography in Detroit is that so many iconic Detroit landmarks are close by. 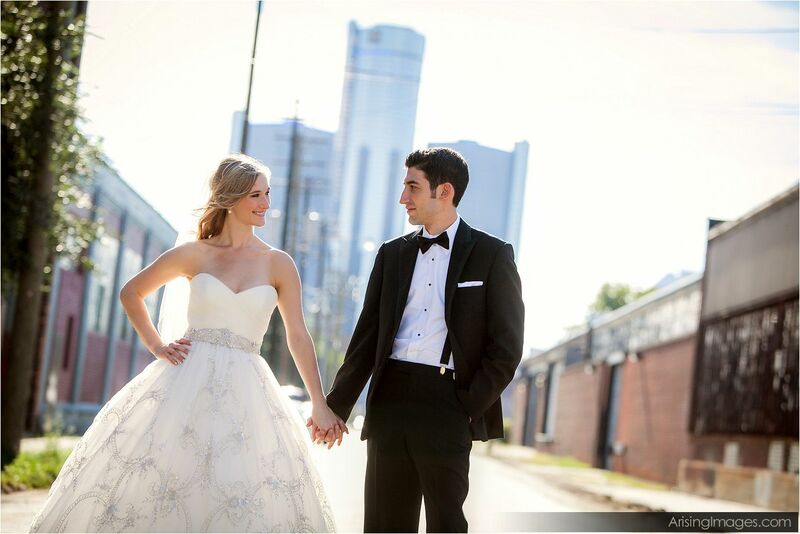 You can show your D-Town pride in your wedding photography by just walking around the block! 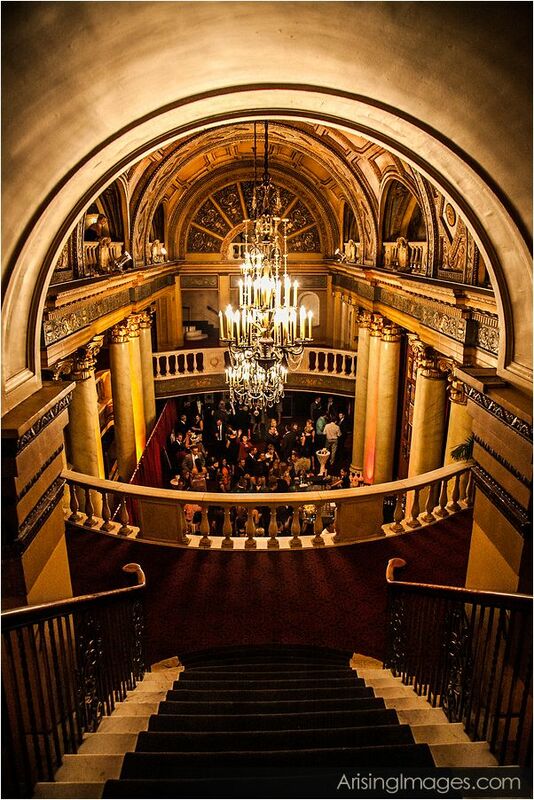 Inside The Fillmore Theater, the 1925 charm and elegance really comes to life. 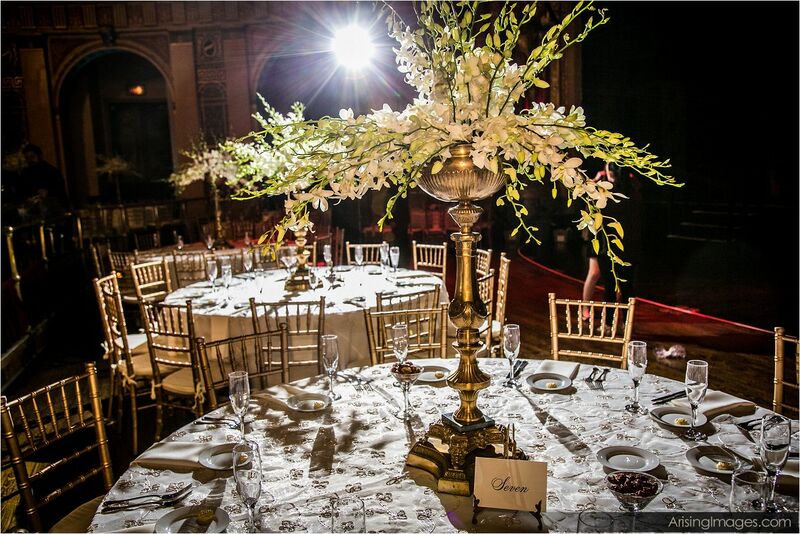 From the chandeliers to the awe-inspiring main ballroom, your ceremony wedding photography will be beautiful and unique. 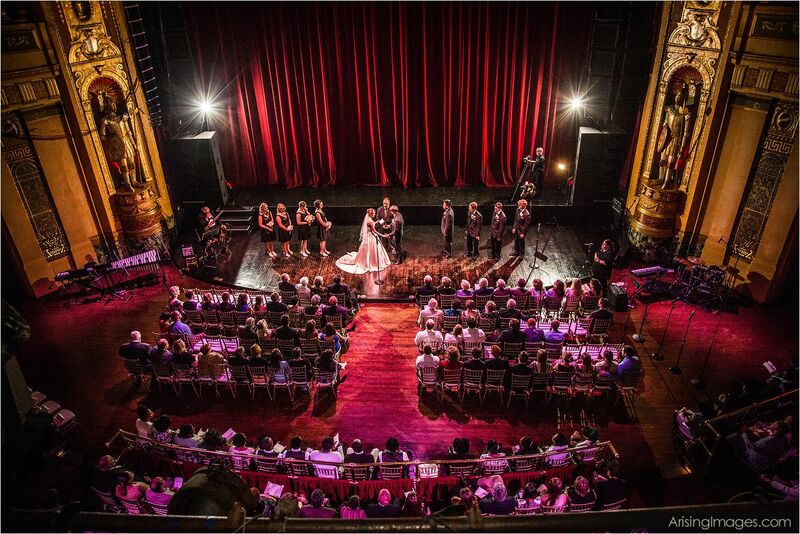 If you’re not satisfied with the wedding venues you’ve seen so far and just want something with a little more edge, The Fillmore Detroit is well worth a visit. 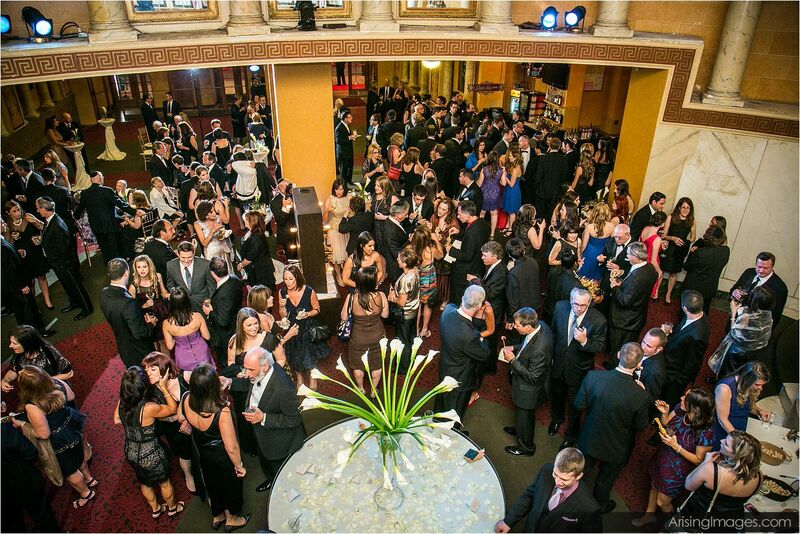 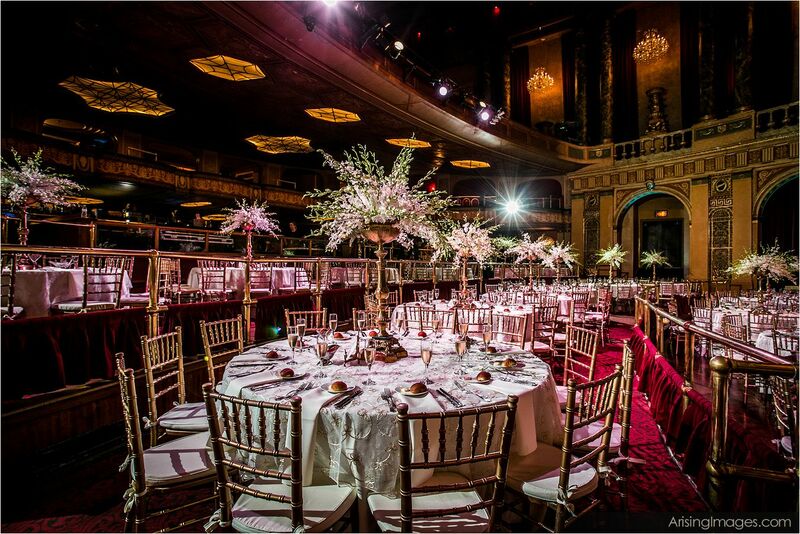 Your guests will enjoy their cocktail hour in the beautiful halls of the theater, enjoying the great appetizers and architecture. 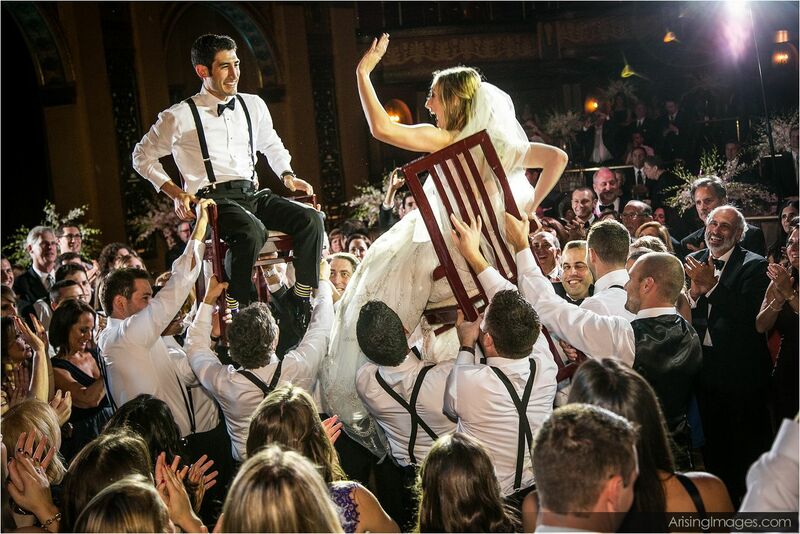 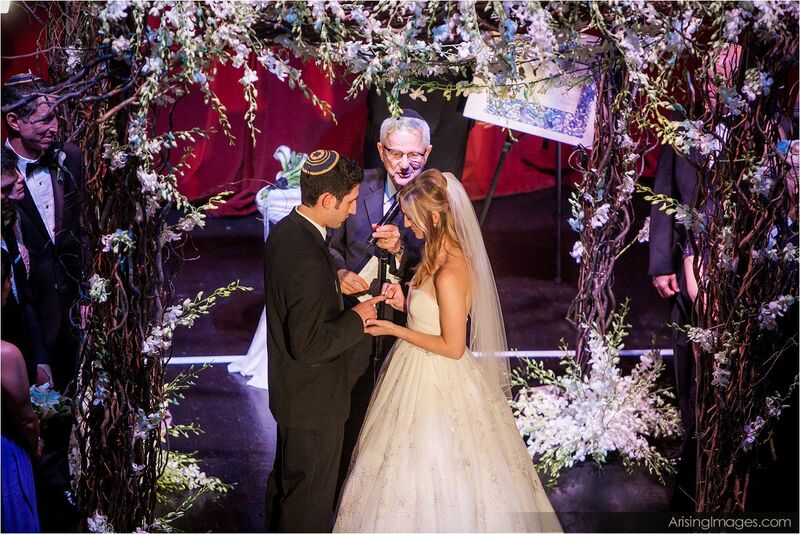 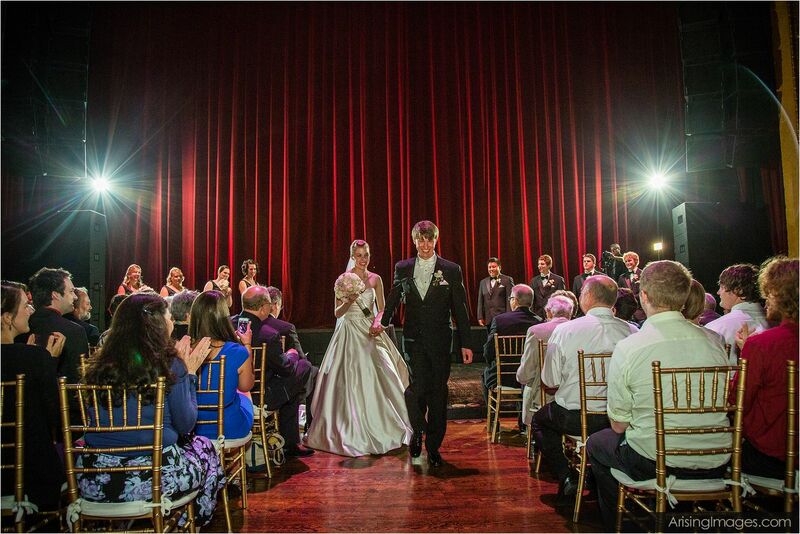 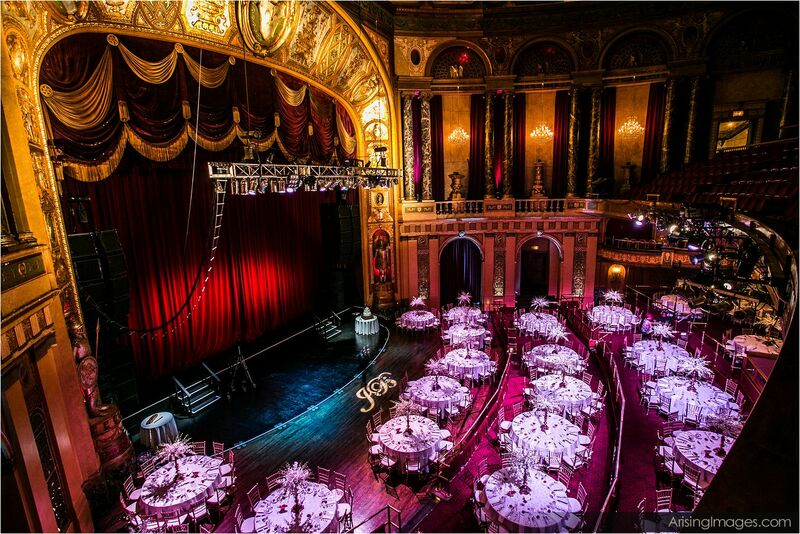 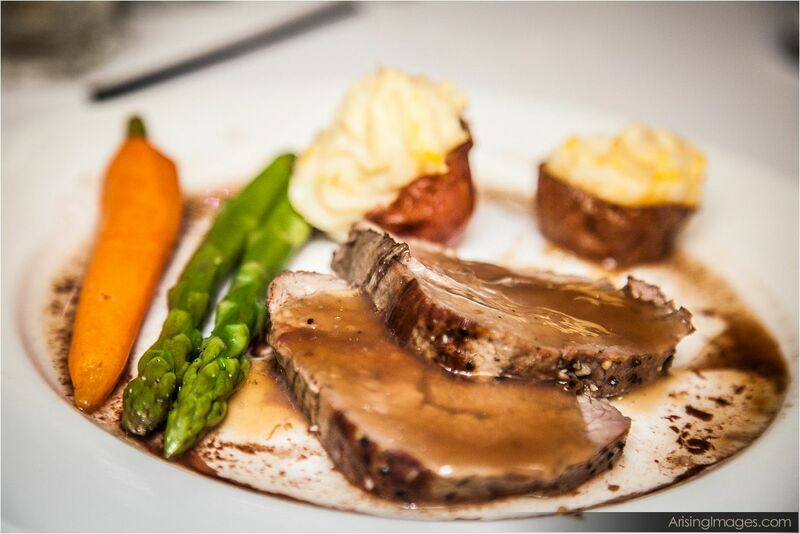 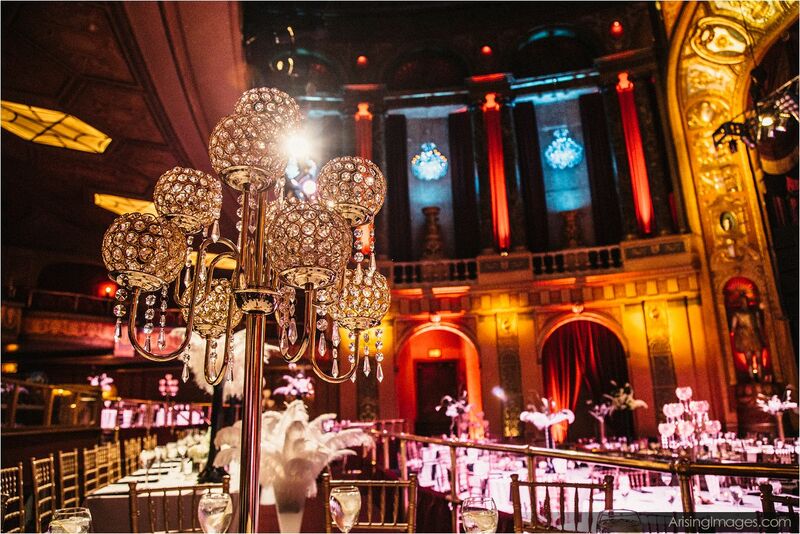 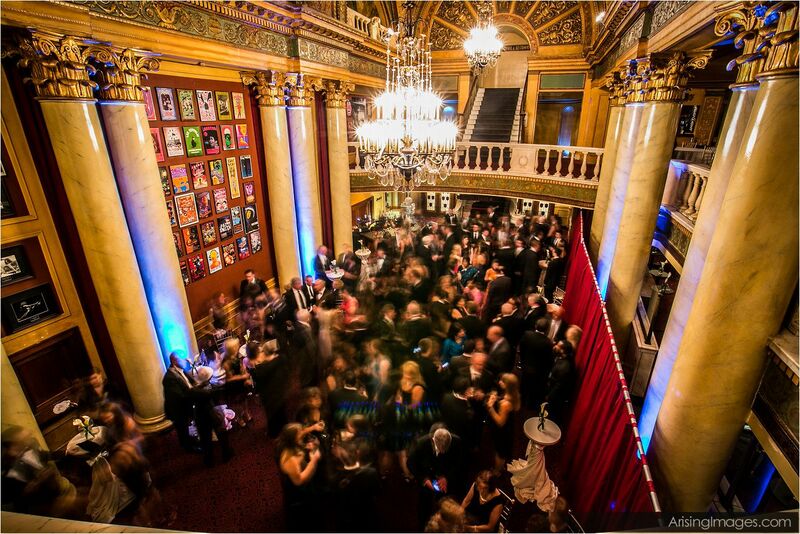 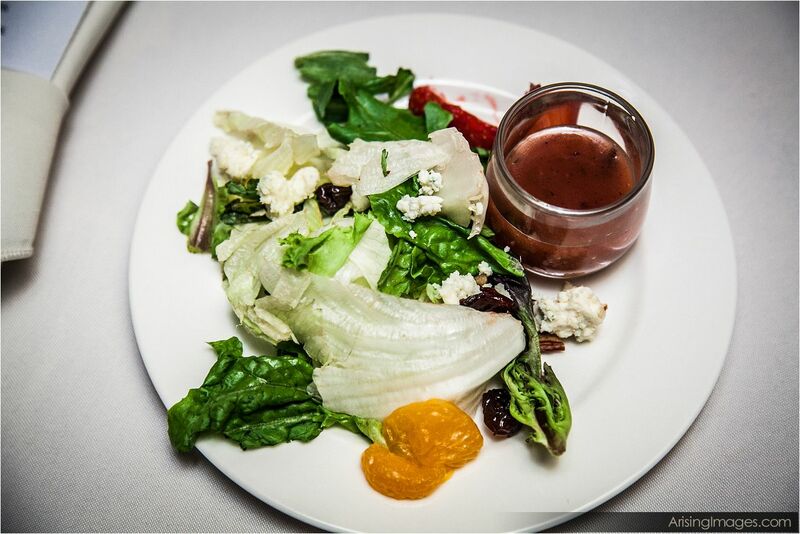 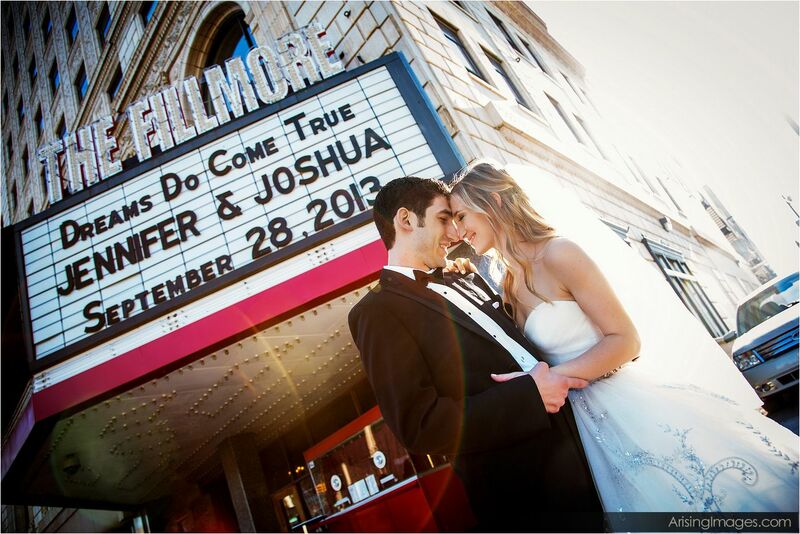 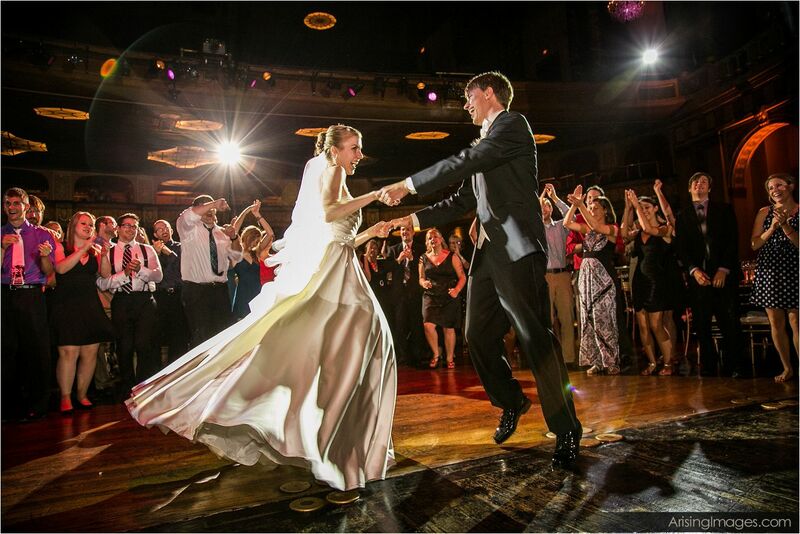 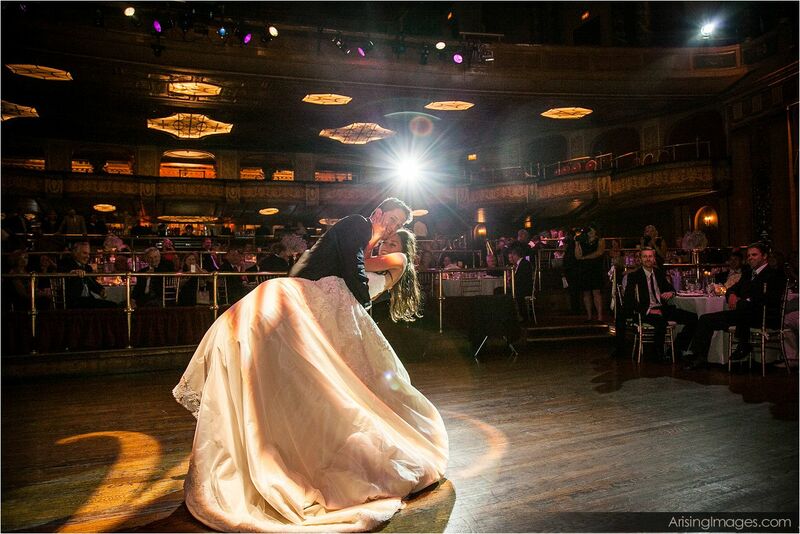 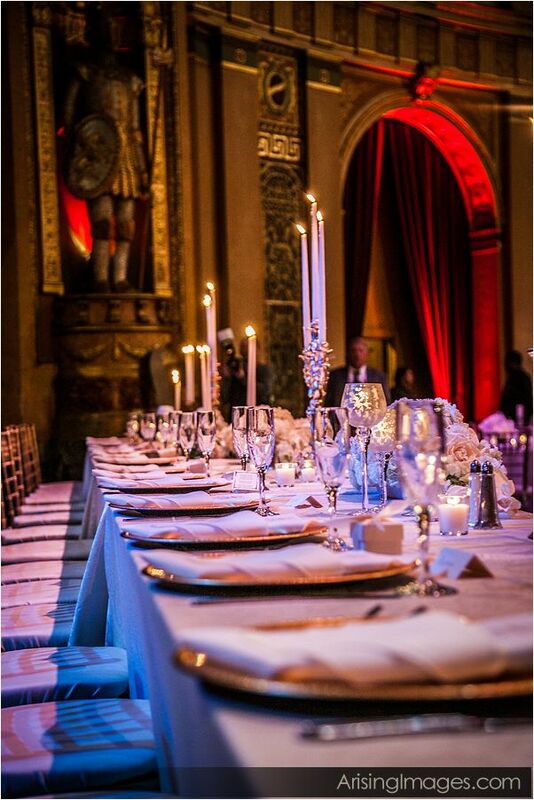 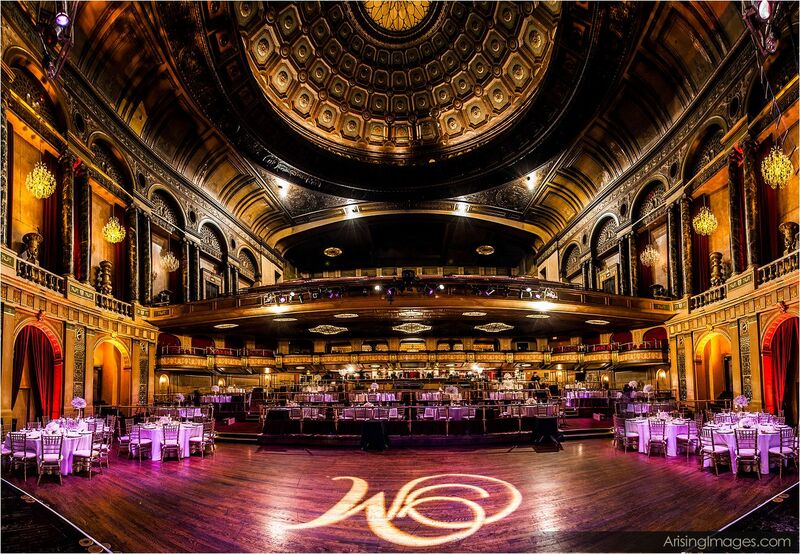 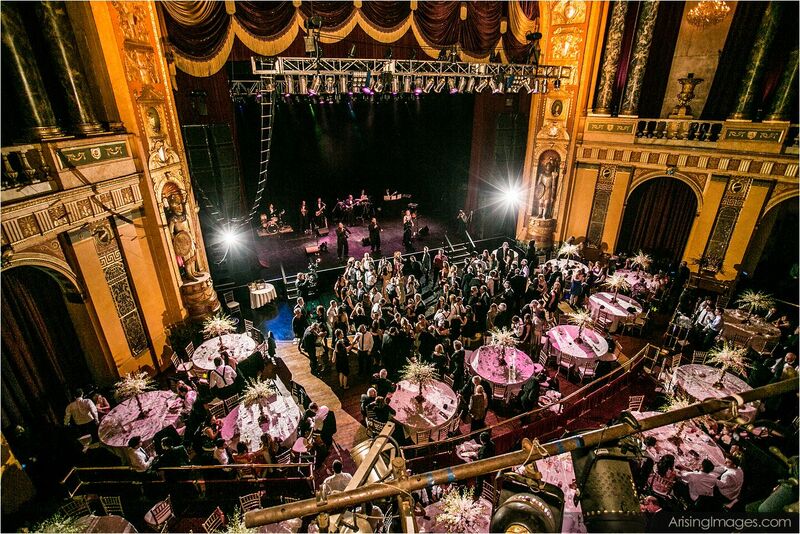 Your wedding reception photography at The Fillmore Detroit will be just as breathtaking as your ceremony. 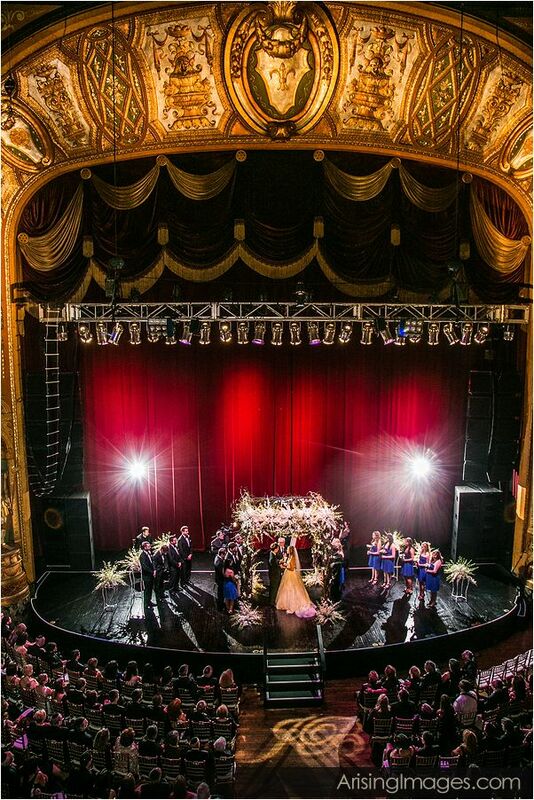 The beautiful multi-colored lights are so unique from other wedding venues; you can tell you’re in a concert hall, and it is just as beautiful as you’d imagine. 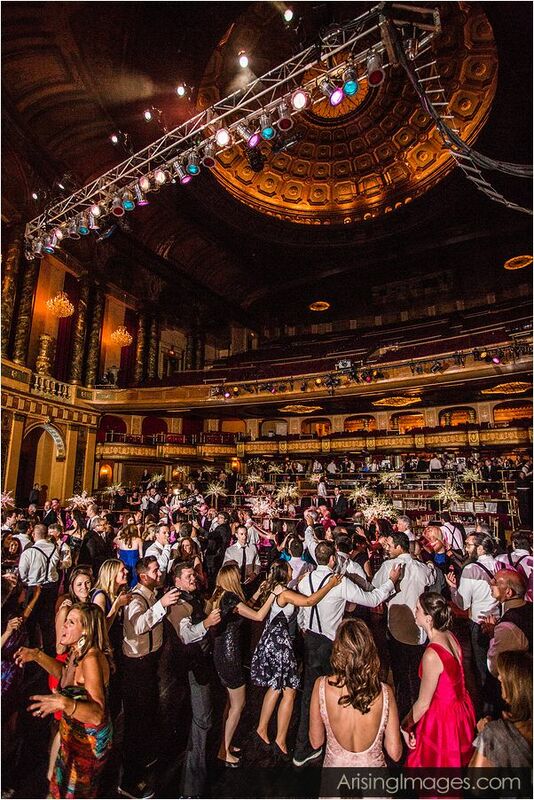 Dance the night away and get some amazing Fillmore wedding photography in Detroit by enjoying the amazing atmosphere this venue provides. 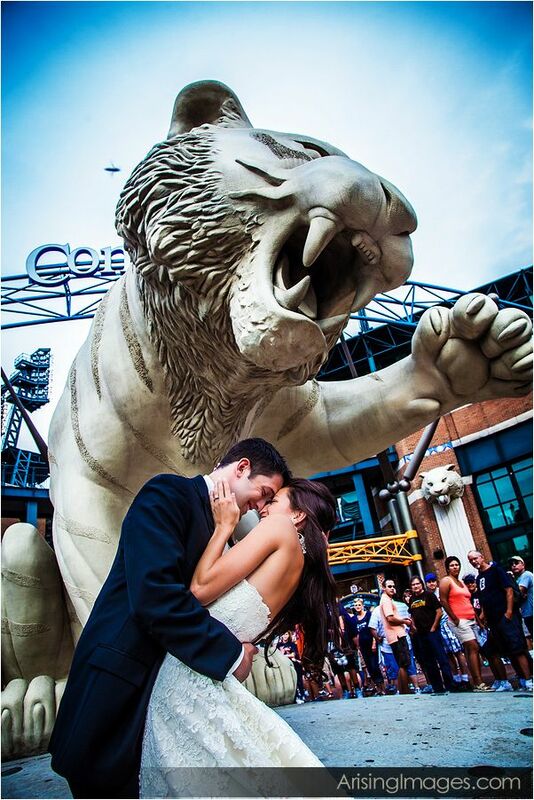 To find out more about Michigan wedding photography, click here. 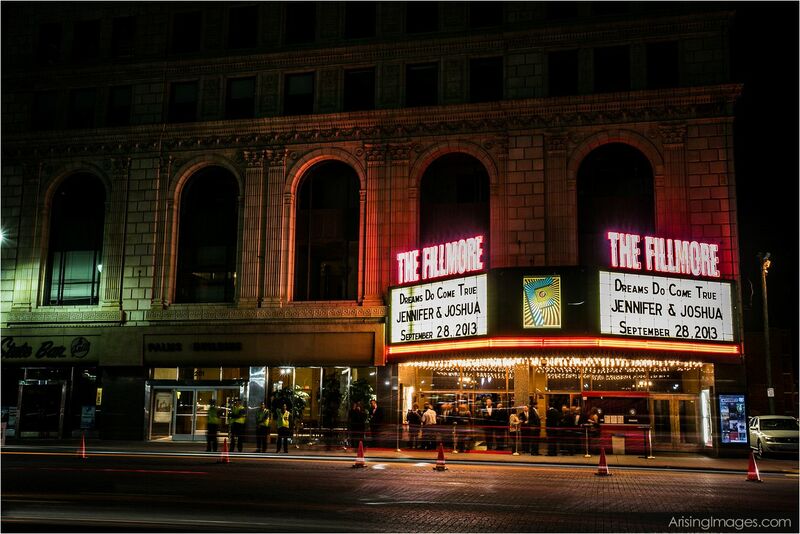 To learn more about The Fillmore Detroit, click here.